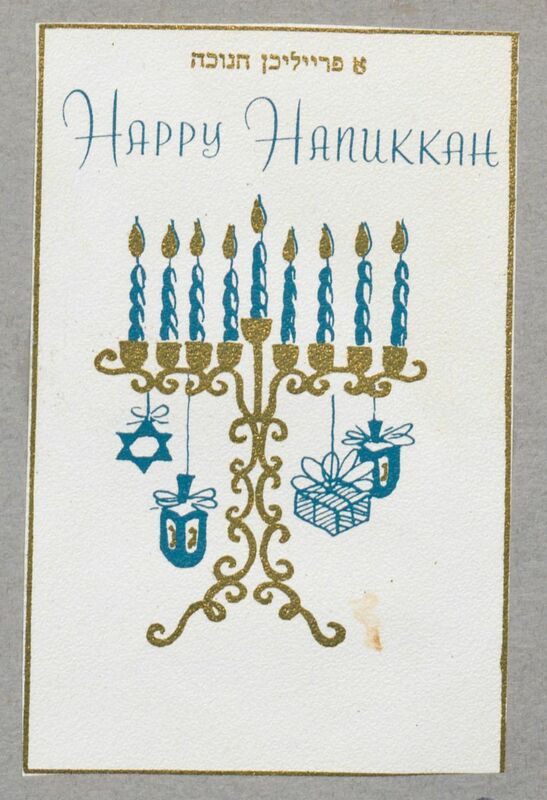 As the holiday season begins, we thought it appropriate to highlight a recent addition to our collection that coincides with the festivities of the season. Dr. Benn Legum recently donated his mother’s scrapbook to our collection (SC 01580). 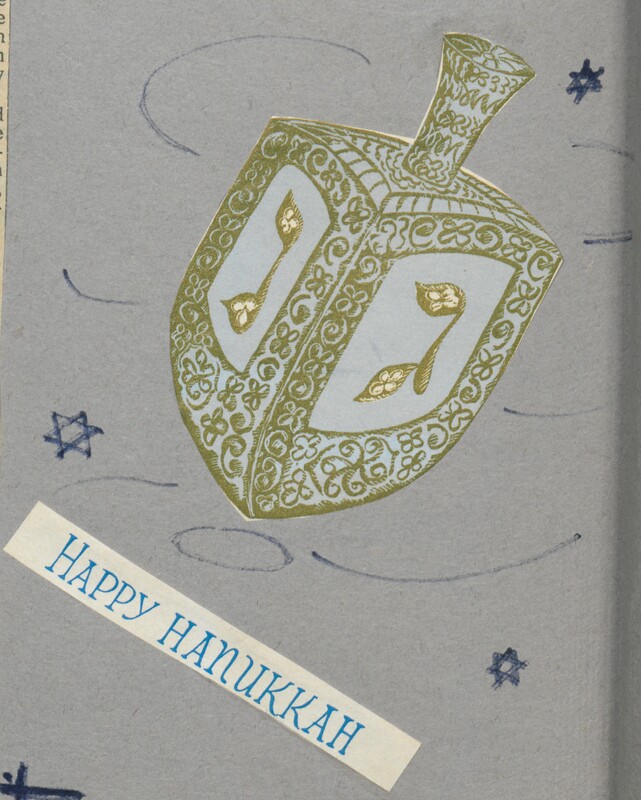 As members of the Jewish community in Williamsburg, the Legums were an integral part of the formalization of Temple Beth El, its physical building, and outreach to the Jewish community in Williamsburg, VA.
Beatrice Legum maintained this scrapbook, beginning in 1959, to record the synagogue’s activities and events. The scrapbook contains many photographs, programs, newspaper clippings, and hand-drawn images, and spans the years 1959-1968. 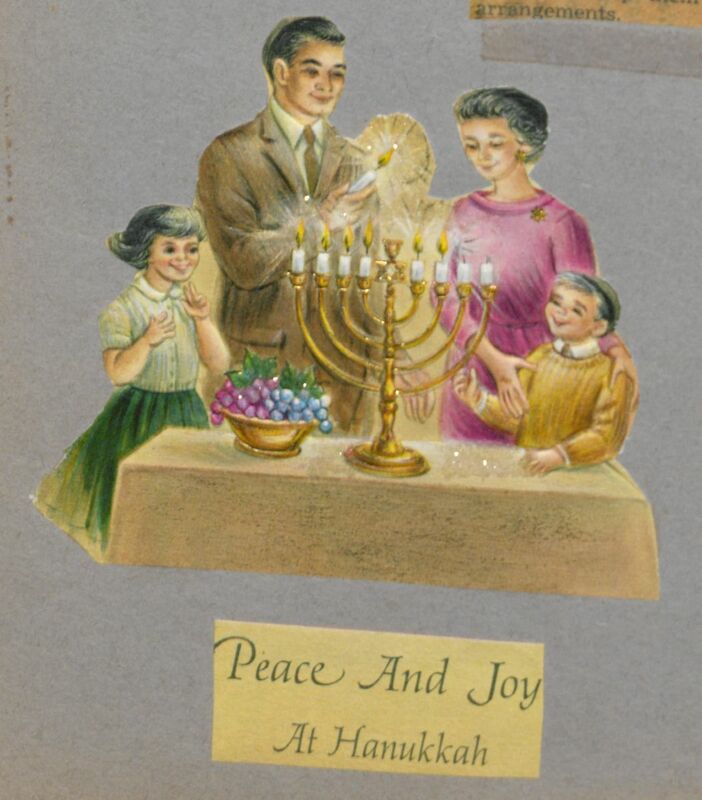 Legum collected information of Temple Beth El throughout the religious cycle of the Jewish year, including their first few Bar Mitzvahs and celebrations of Purim and Hanukkah, to name only a few. During those beginning years for the new synagogue, Temple Beth El held many of their services in the Chapel of the Wren Building on William & Mary’s campus. A physical building that the congregation could call home was not completed until 1968, which marks the end of Ms. Legum’s scrapbook. There is an article celebrating the new dedication of their synagogue at the end of the scrapbook. At that time there were about 18 families who belonged to the Temple Beth El congregation. 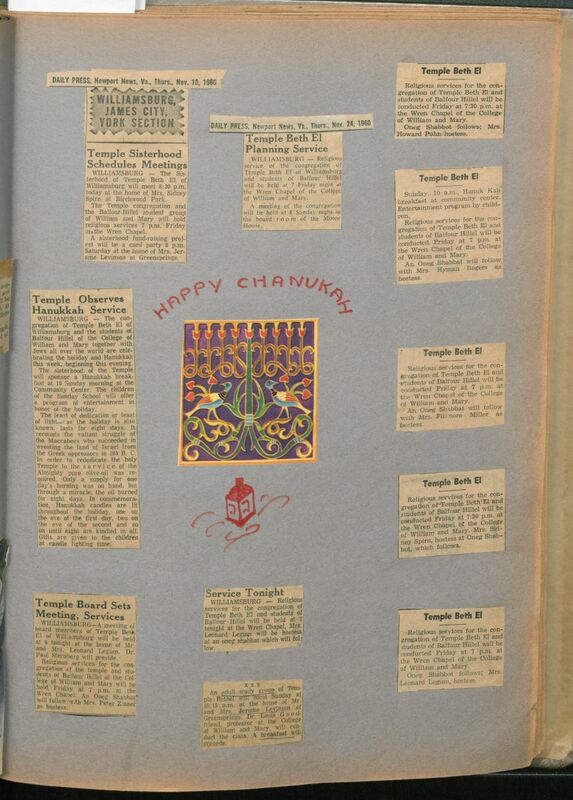 Some of the photos included in this blog are sections of Legum’s scrapbook that highlight the season of Hanukkah. As members of the Jewish community celebrate this Festival of Lights, which concludes tonight, let us celebrate the positive community impact of Temple Beth El has had on the Williamsburg area. Special Collections at William & Mary Libraries is proud to add this piece of local history to our collection and to share it with the public.